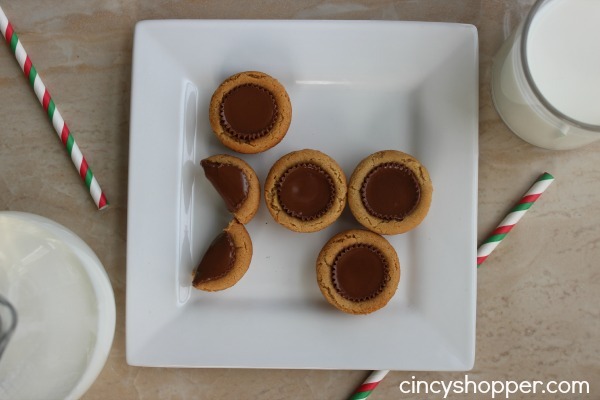 This Reese’s Cookies Recipe is always a favorite around our home at the holidays. Cookies are always part of our Christmas traditions. I tend to bake a different cookie a few times per week just to keep the kiddos and hubby content. I like to stash a few away in the refrigerator to save for a nice cookie tray when we have our holiday get togethers with family and friends. 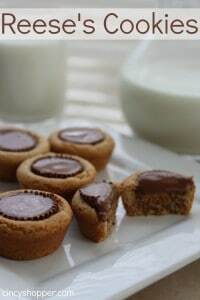 This Reese’s Cookie Recipe is quite easy and is always a hit with most guests. Growing up we always had loads and loads of homemade cookies around the house. For years I always just purchased the over-priced store baked cookies. That was until I got frugal ha ha. Cookies are quite cheap to make at home and I always get way more made than I would typically purchase. Its nice to have “enough to go around” ha ha. We have had so many coupons available to print for Reese’s Products and I have snag quite a few good sales so, Reese’s Cookies were on my baking list. 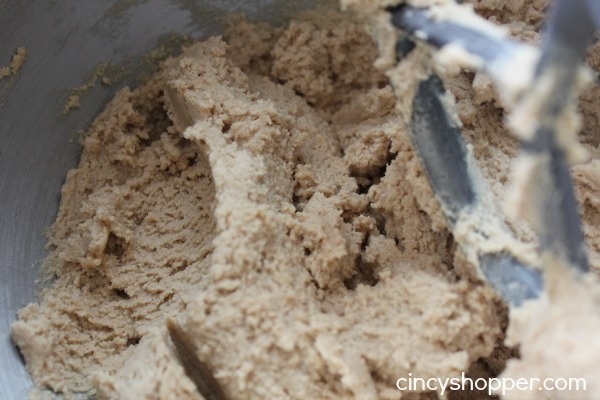 If you are looking to make a great cookie that everyone will love, snag some of your coupons and check your pantry for the other ingredients and bake this cookie recipe up for your family and guests. 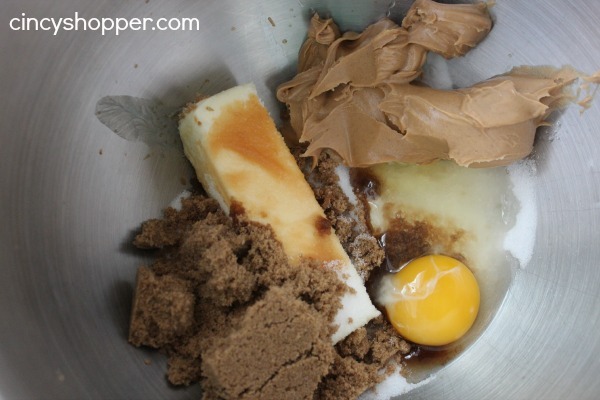 Combine butter, sugars, peanut butter, egg and vanilla and beat until fluffy. Combine flour, baking soda and salt and gradually add to the butter mixture. 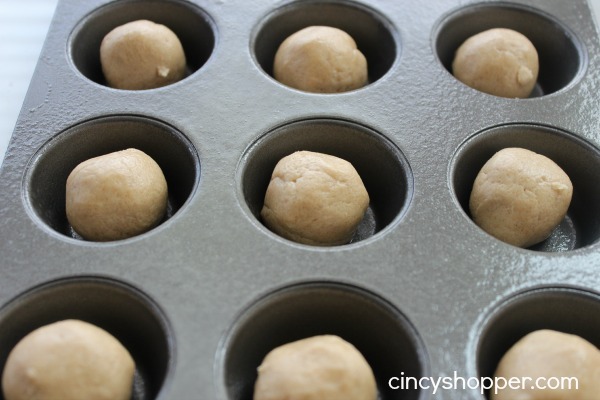 Form into 1 inch balls and drop into cups on small muffin pan. Bake 12 minutes or until puffy and lightly brown. 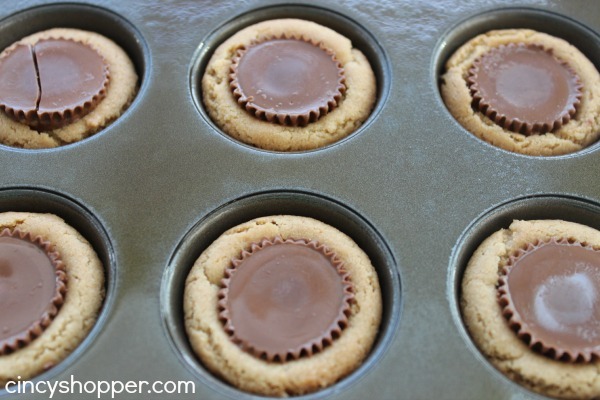 Press unwrapped Reese in center or each cookie and allow to cool completely in muffin pan. The kiddos were so excited that I finally made one of their favorites. I think all kids really enjoy peanut butter. Reese’s Miniatures add just the right amount of additional peanut butter and a hint of the chocolate. I have always been a fan of smaller cookies and these Reese’s Cookies are perfect in size, or at least I think so, ha ha! I think the key is making sure you do not get your cookie balls to large for your mini muffin tin. I like to place the Reese’s Miniatures Candies in as soon as they come out of the oven so that they fit nicely into the actual cookie. If you wait for too long, you candy will not set inside of the cookie. Plus, who can actually wait to put the Reese’s Miniature in? I am always ready to grab one of the cookies as soon as they are out of the oven. Nothing tastes quite like a warm fresh from the oven cookie. What types of cookies do you enjoy baking over the holiday season for your family? 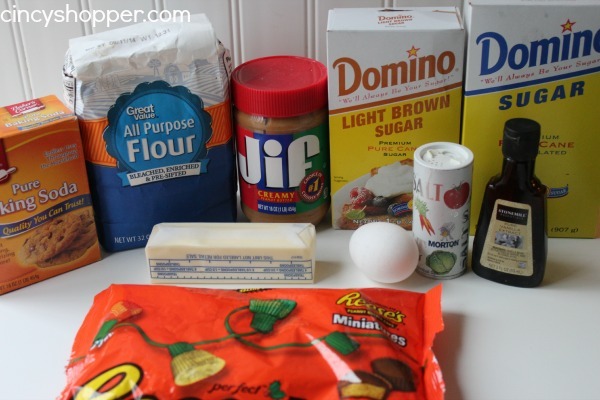 If you have yet to make these type Reese’s Peanut Butter Cookies, be sure to give them a try. They are great year round but, I seem to like to bake them more frequently around the holidays. So bake up a batch and be ready to grab a tall glass of milk to go with these tasty peanut butter cookies. Looking for other treats to make up for the holidays? If so be sure to check out all the great recipes I have been sharing with you here. Please tell what temperature to bake these at! Hi Carol! Oh my I must have been scatter brained at the holidays! I added the 350 degree temp to the recipe directions. Thanks for letting me know that it was not included. I hope you have a chance to make these yummy cookies.